There are more and more budget smart phones coming onto the market, as manufacturers realise that not everyone wants to spend five hundred pounds on a top of the range new device. You can expect to get a decent budget phone for under a hundred and fifty pounds. But you're going to have to be careful about the specs, you can't afford to give up too many features to get a lower price otherwise you're going to find that your phone just doesn't do what you need it to do. As a minimum guide you're looking for screen size over three and a half inches, at least 800 MHz of processing power, at least 512 MB of RAM and a minimum of 2 GB of internal storage. Going below these limits is going to mean that your phone just won't be able to do the necessary tasks without crashing or freezing. If you're looking for some good model choices, take a look at the Huawei Ascend W1. It's a Windows phone, running version 8, meets all your spec needs, and is a good looking phone to boot. The Sony Xperia Miro is also a good choice. Some people need a little more than basic specs on a phone, and not only will a mid market phone be faster and more powerful, but it will also generally last longer, and be more compatible with recent software. And there is one clear choice for a decent mid market phone at a good price, and that's the Samsung Galaxy S2. This model is just the best combination of features that you're going to get for the best price. You get a 4.3 inch Super AMOLED + screen as well as a 1.2 GHz processor, so it's more than fast enough. 1 GB of RAM means that it's extremely responsive and there's no lagging. There's also 16 GB of internal memory and a full 8 MP camera. 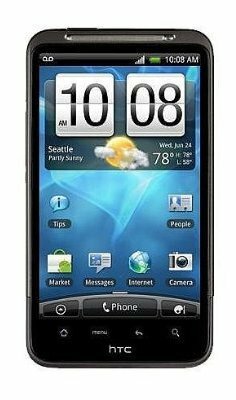 One of the issues that some people have with buying the Samsung Galaxy S2 is that it does come with the old Android 2.3 Gingerbread operating system. However, as soon as you get service to the phone you'll automatically get the Android 4.2 Jelly Bean update, so that's really nothing to worry about. And you get all these features for just two hundred and fifty pounds. That simply makes the Galaxy S2 by far the best deal on the market. If you really need a top end mobile, maybe for work reasons, then you're not going to get many deals on that five hundred pound plus price tag. The way that many people choose to get a top of the range phone without having to make a big initial outlay of cash is by getting an incentive contract. These are contracts offered by mobile operators that give you a free or low cost mobile phone. They're not always the best financial decision to make, however. The phone you get obviously isn't free, your monthly phone bill will be higher to reflect the amount of an instalment that you're paying on the mobile you get. And the problem is that those instalments can often add up over the course of the contract to be more than the retail cost of the phone that you get. So in the long term, an incentive plan isn't always wise. There are some exceptions though. For example, right now you can get the top end Samsung Galaxy S4 from mobile operator Three for no money down and just £33 per month, on a contract that includes truly unlimited mobile data. That's a bargain deal on a top end phone. But evaluating these incentive deals is pretty important, since they can be slightly misleading. To evaluate an incentive contract you're going to have to do some math, and you'll need a little information before you start. You'll need to know the monthly cost of the incentive contract that you're interested in and how many months the contract is for, as well as any down payment that's required on the phone and the monthly calling plan limits that the contract has (that's the amount of calling minutes, text messages and mobile data you get each month). You'll also need to find a SIM only contract (a contract that comes with just a calling plan and no mobile phone) with the same operator that has the same monthly calling plan limits as your incentive contract. Finally, you'll need to know the current retail price of the phone that you're getting. Subtract the monthly cost of the SIM only contract from the monthly cost of the incentive contract, which will tell you how much you're paying per month for the phone. Multiply your result by the number of months in the incentive contract, and then add any down payment that the phone requires. Compare your result to the actual retail price of the phone to see how good your deal is. If you're within a few pounds, it's a good deal. More than around fifty pounds though, and it's not a great deal.